As pilots, we’re obligated to take steps to mitigate risks and embrace a safety-minded culture with checks and double-checks. Ever forget? Me, too—in fact, frequently. It’s probably not improving with age, either. Already this week I’ve forgotten to set out the trash, pick up the dry cleaning and a couple of other things I’m too embarrassed to admit (hopefully, my daughter forgives me). Every day, we overlook a variety of little things, because forgetting about them has only minor consequences. Thankfully, with each of the things I forgot this week, no one was injured—physically—and the biggest inconvenience was not having access to my favorite shirt. When it comes to flying, however, the consequences of oversights and omissions are much more severe and absolute. As pilots, we’re obligated to take steps to mitigate risks and embrace a safety-minded culture with checks and double-checks. 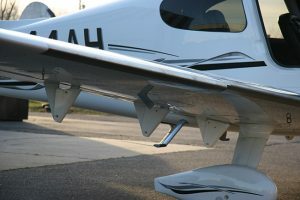 Whether you’re performing a pre-flight or a post-flight inspection as you prepare your mental checklists and flight deck flows (above) or using the manufacturer’s suggested checklists (below), the right actions in the right sequence can mean the difference between a successful flight and a disaster. Like me, you probably wish you were flying more often. Since most of us don’t fly routinely, the safe habits we formed during training aren’t reinforced as often as we would like. In the context of everyday flying, with good weather and systems functioning normally, this doesn’t present unmanageable risk. Consider, for example, our forgetting to select the landing light on, not selecting the fuel to the fullest tank on takeoff or incorrectly programming the first waypoint in the GPS. In each of these cases, we likely come away unscathed. Does that make it okay? Absolutely not! It means we were lucky to avoid the potential consequences of our mistakes. No pilot wants to depend on luck, because it can change with the slightest variation from the norm. Whether we face a minor system malfunction, unexpected weather conditions or even a legitimate emergency, the right actions in the right sequence can mean the difference between a successful outcome and a disaster. This is why we train for the unexpected, plan for the worst-case scenario and never rely solely on something as fallible as our memory. At the other end of the flying spectrum from the occasional pilot is the airline pilot flying thousands of hours while reinforcing safe flying habits with standardized procedures and a host of support resources that include a highly trained, highly qualified co-pilot. Regular simulator flying and proficiency checks increase standardization and accuracy. It’s easy to understand how, in that environment, we’ve achieved the safest form of transportation known to mankind. For a multitude of reasons, the sophisticated flight environment of the airlines can’t be duplicated in its entirety in general aviation. But consider this: The most experienced airline pilot with the most advanced equipment would never perform routine tasks in the aircraft without using a flight deck flow or checklist. In fact, some operators have eliminated memory items in favor of “quick response” items, because once again, in the most critical emergency, does anyone want to rely solely on memory? Use a checklist (or “to-do” list) and flight deck flow for all procedures. Aviation is at the forefront when it comes to checklist usage, and other industries are taking note. The safest operations with which I’m familiar typically use multiple checklist styles and layers that continuously evolve with time and experience for added safety. To clarify, a “to-do” list is just that. You methodically read through each item on the checklist and then perform the necessary task when you come to the item. With a new or unfamiliar aircraft, the “to-do” list style is the right approach; but as you become more familiar with an aircraft, you may consider “flows.” A “flow” is an organized and consistent pattern of moving around the flight deck to accomplish items required on the ensuing checklist. The flight deck flow precedes the checklist and should be accomplished in the same sequence each and every time to create muscle memory. Eventually, you’ll find yourself moving to the right items at the right time every time. Undoubtedly, you’ve learned or developed a mental checklist using a catchy acronym; if not, you likely will at some point. The mental checklist will serve as another valuable layer of redundancy that may prove to be a lifesaver in a critical situation in which there’s little or no time to consult a written list. The more layers of checklist redundancy, the less likely you’ll be to make an error or omission. In the IFR environment, you might consider an “in-range” checklist, at which point you would review the instrument procedures for your destination airport, complete an approach briefing and ensure that avionics equipment is properly programmed. Anticipation is key to reduction in workload. A looming epidemic in aviation is distracted ground operations, which undoubtedly contribute to runway incursions and other mistakes. The principles of the in-range checklist apply in the pre-taxi environment: investigate weather, anticipate taxi routes, program avionics and evaluate potential hazards prior to aircraft movement. 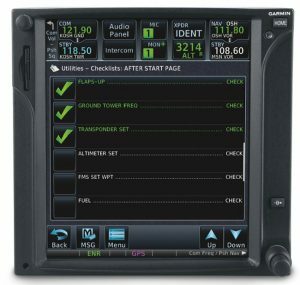 For EFB users, proper programming, placement and orientation of devices can be incorporated here, as well. Create a checklist that works for the apps you intend to use, your accessories and your airplane. Customize it so that you’ll actually use it before every flight. The checklist doesn’t have to end when you park the airplane, as some important discoveries can be made while securing. Appropriately so, a great deal of time, effort and thought is invested in the time-honored tradition of the pre-flight inspection; but in the interest of convenience, safety and practicality, the best time to discover that your airplane needs attention is during the lower-stress environment of post-flight. In terms of exterior inspection, the post-flight should mirror the pre-flight. Complete the same deliberate flow around the exterior of the aircraft, checking for anomalies along the way. As part of the interior inspection, take a look through the flight bag. Check the status of spare batteries and flashlights, and ensure that headsets are in working order. Ask yourself these questions: Are the windows clean, is trash collected, is the master switch off, and have you closed your flight plan? Consider a checklist for your post-flight duties, as well. It will take just a moment to identify the critical items you need to examine before securing the aircraft. This process will ensure that your next flight starts off on the right foot. 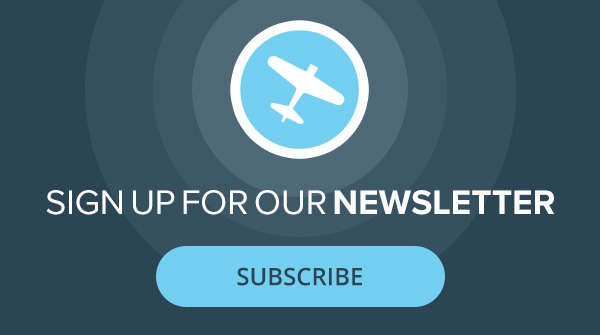 Checklists and flight deck flows offer the ultimate opportunity for personalization. Don’t get trapped into thinking you must conform to the manufacturer’s suggested checklists. While you should never delete items recommended by the manufacturer, you definitely should add items relevant to your type of flying and your level of experience, and create flows that support the safest flying habits for you as a pilot. Eric Radtke is President and Chief Operating Officer, Sporty’s Academy, and Chief Instructor of Aviation at UC Clermont College. An Airline Transport Pilot, Master Flight Instructor and Advanced Ground Instructor, Eric is a member of the Board of the National Association of Flight Instructors and a member of the National Air Transportation Association’s Flight Training Committee.